There are many ways people can keep assets in the family, Mr. Merwin said. It's important that people know all their options. Besides the basic tax bypass trust structure there are several ways of reducing exposure to estate tax, though most of them involve giving away control of an asset, says Bowie & Jensen's Jay Merwin. 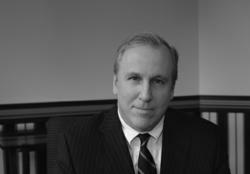 Bowie & Jensen is a leading business law firm in Towson, Maryland. "The simplest of these is simply making gifts within the annual $13,000 gift tax exclusion," says Mr. Merwin. "Larger gifts made by people with enough wealth to face estate tax count against the estate tax exemptions at death, currently $5 million for federal tax, $1 million for state tax". But, Mr. Merwin says, anyone can make gifts of up to $13,000 a year per beneficiary without any such gift tax consequences. Thus, a married couple with two children and four grandchildren can remove up to $156,000 each year from their estate if each spouse makes gifts of $13,000 to each child and grandchild (2 spouses x (2 children + 4 grandchildren) = 12 gifts x $13,000 = $156,000). In this example assume this beach house keeps appreciating in value, raising concerns that the family may have to sell it to pay estate taxes after you die. In that case, consider a qualified personal residence trust (QPRT). You transfer the house to the QPRT on condition that you have the right to live there rent-free for a specific term, usually 10 years. During that term you would continue to be responsible for all expenses of the house, including maintenance and real estate taxes. After 10 years, the house would pass to your children free of any gift or estate tax. You could continue to live in the house beyond the term, but you would have to pay rent at a fair-market rate. The initial transfer of the house to the QPRT trust is a taxable gift, though not in the amount of the full, fair-market value. The value of the gift would be discounted by calculations based on IRS actuarial tables taking into account your age, the 10-year term of your retained interest and applicable federal interest rate as of the date of transfer. "For example, a beach house with a fair market value of $1 million at the time of transfer might be valued for gift tax purposes at $500,000, which amount would be counted against your estate tax exemption. If the property appreciates from $1 million to $1.5 million by the time you die, you will have transferred $1.5 million out of your estate in the form of a gift valued at $500,000 for estate and gift tax purposes," Mr. Merwin said. "However, if you die before the end of the 10-year term, the property is included in your estate and the $500,000 originally deducted from the available estate tax exemption would be restored." Bowie & Jensen is a Maryland-based law firm with attorneys representing clients around the world. Bowie & Jensen focuses on Business Litigation, Business Transactions, Intellectual Property, Employment Law, Estates & Trusts, Tax and Construction Law. For more information on Bowie & Jensen, please visit http://www.bowie-jensen.com.